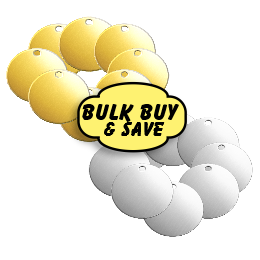 At Paws 4 Thought Pet Tags, we are a dedicated team of profesional and passionate animal lovers. 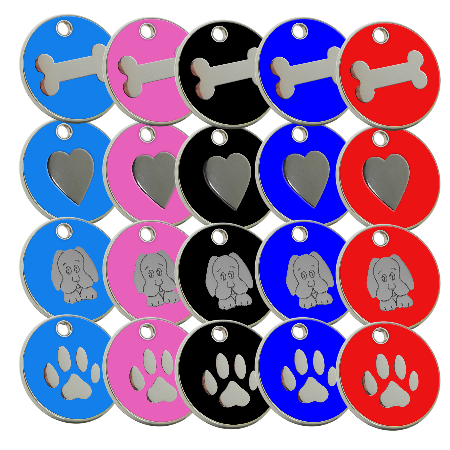 Dedicated to helping all pet-owners find the best Pet ID tags in case their pets get lost. 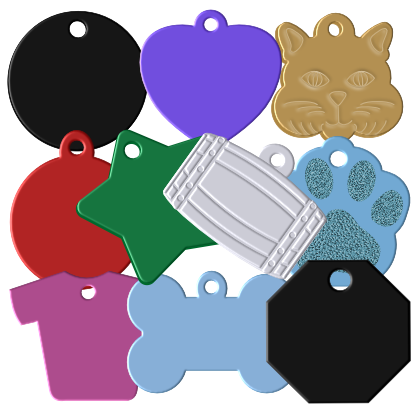 What to consider when purchasing a pet id tag. 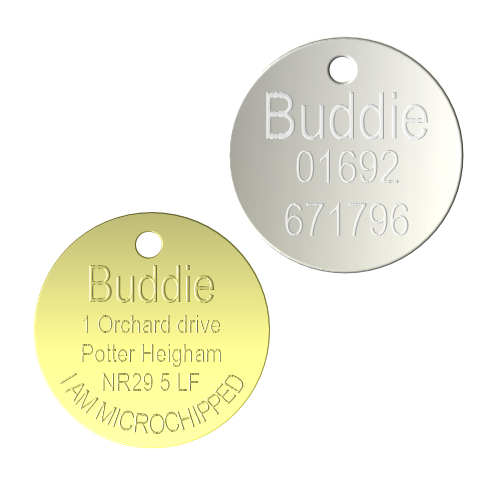 There are lots of companys selling pet id tags and there are many different ways to engraved a tag. 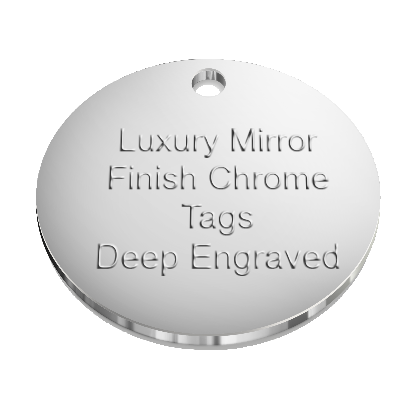 Here at Paws 4 Thought Pet Tags we deep engrave all our tags so that you are getting great value for your money. 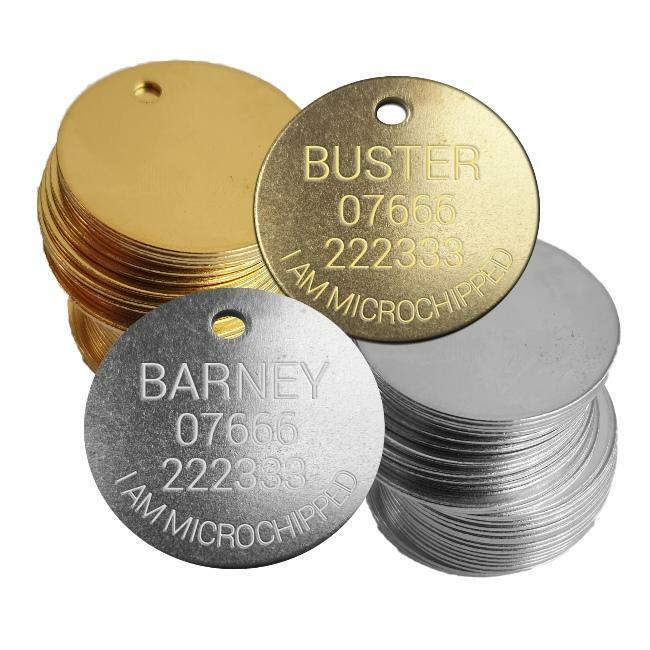 If a tag mearly has the suface scratched then after a very short time your contact details will wear away and then your pet might not get returned to you as quickly as you would like. All out tags are deep engraved so you can be sure your details will last for many years to come. Also there are many suppliers out there that use a single block font to engrave your details because it only takes seconds to engrave. Well this is totaly no good because the details will wear away very quickly and you will end up buying yet another tag after a short space of time. 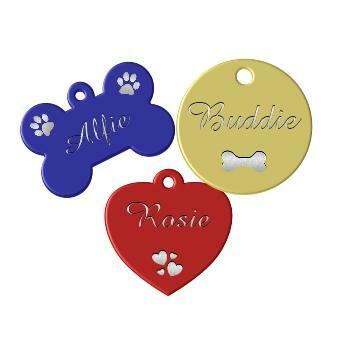 We use a multi line font so your details will last longer on your pet tag thus you will not have to purchase another over a short time period. 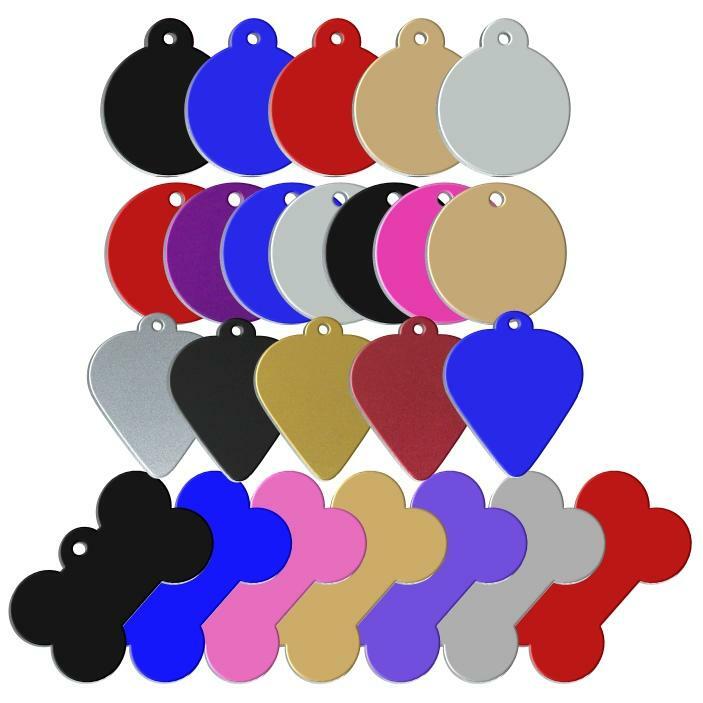 We sell hundreds of different styles, colours and sizes of pet tags and they are all deep engraved using the correct methods.